Today’s world is stuck in black-and-white thinking that limits creative possibilities. ​But the world is not a black-and-white place. It is packed full of color. We all need fresh ways to move forward beyond constraints that insist on only two possibilities—one right, the other wrong. Just as color is infinitely abundant, so too is the potential for reshaping our lives. By breaking down rigid mindsets, new insights and vantage points can emerge. 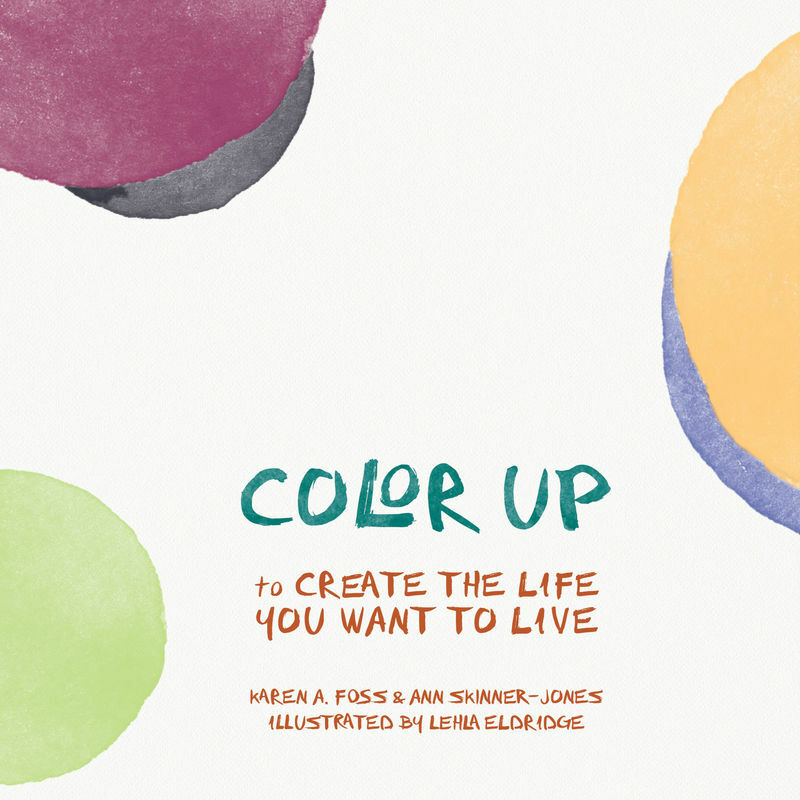 "​COLOR Up gives us a delightful road map for navigating the range of changes we encounter in life. The book is chock full of stories, tools, and activities to support us on our journeys toward becoming our best selves. A love of color and a passionate belief in the creative process shine through every page of COLOR Up. I definitely will recommend this book to coaching clients, friends, and family who are experiencing a life transition." 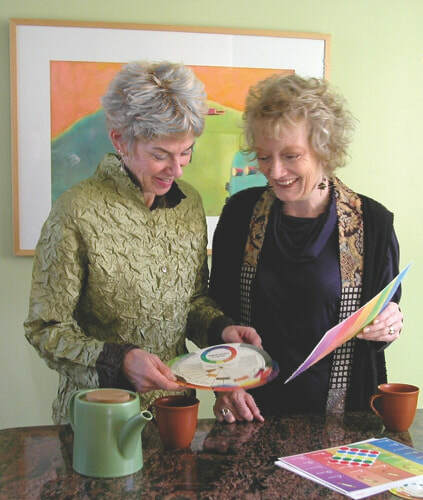 ​Joining their talents, Karen A. Foss and Ann Skinner-Jones bring years of award-winning teaching, writing, and artistic practice to the adventure they call COLOR Up. A blending of their different perspectives was the catalyst for this innovative toolkit designed to counter polarized thinking and to encourage vibrant choices. With color as a vehicle for change, they are ambassadors for an imaginative and transformative worldview.